We need an activity tab to make it easy for users to go to their activities and create views. It is somewhat obscure to have to go to the Home page, click on the link under the calendar to Activity Views to see your activities in total. Unreal something like this has not been done. This is a no brainer. It's a nice to have and will be very useful to many. Please add this activity tab. When dealing with several tasks this tab/view would be very benificial to users. Absolutely needed, home page view is not user friendly. While I've had some success with Visualforce pages to get this to work (and to get a tab to generate) - they eventually go buggy. The easiest seems to be to create a custom link for the sidebar for your org's homepage layout. In setup go to Home | Homepage components | "edit" next to "Custom Links" to create it. Then adjust the layout for your organization. This serves the exact same purpose as the task button under the calendar list, just more idiot-proof. I still am not sure why this is not something that comes out of the box. There is a download that is on the app exchange that allows you this functionality but I would bring a lot of buy in for users to have this right from the start. 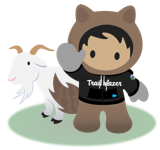 I first started supporting Salesforce 6 years ago. At that time, I installed a simple Activities Tab from the AppExchange. After 6 years, Salesforce still does not include an Activities Tab out of the box. I've evaluated several of the Activities Tab apps currently on the AppExchange and find them to either have too many bells and whistles for our organization, or to be buggy. It would be useful to have a SIMPLE Activities Tab to enable our users to create Views and manage Activities in mass. I second the comment that "It is somewhat obscure to have to go to the Home page, click on the link under the calendar to Activity Views to see your activities in total." I was desperately looking for that. Task are essential for people to work and the only place to get overview is the home screen with very limited information. Same for activity events. Hence we need a tab for activities. What's the hold up? This is basic functionality. I purchased the basic Contact Management edition with the idea that there would be contact management i.e., activity management... now I learn that this would require a custom development or third party app... oh and by the way the Contact Management edition does not allow customization or third party apps... so there is no "effective" contact management... this is very basic stuff... and a universal component with custom views and filters for all Open and Closed activities (events/Tasks) would help everyone without going outside the standard package. This would be very helpful. I don't understand why it is not a function now. This should be a standard feature, as it wasn't we built our own. Create a new Visualforce tab and select the page you just created, give it a label, name and style. Then just add this to the relevant app for your users. You should then see a nice new Activities tab on Salesforce.